The first model for practical use. Casing was made of ABS plastic sheet, glued with dichloromethane and decorated with leatherette. Two slide controls — “energy” and “frequency”. Electrode was round-shaped, coaxial. Detachable!!! 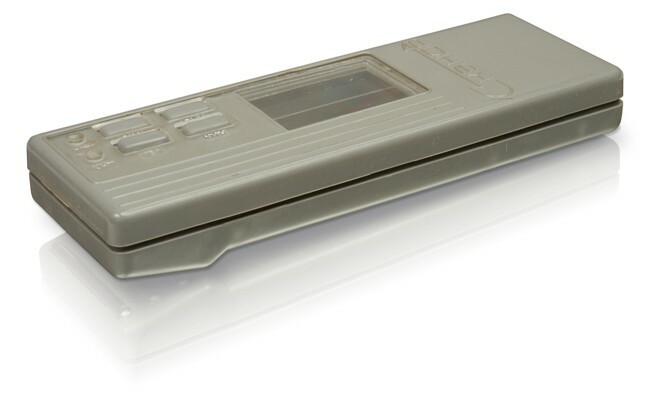 The first device named SCENAR. It was developed for serial production at the “Priboy” factory (Taganrog). The casing was milled out of one solid piece of Plexiglas. The casing was 0.7—1.5mm thick and bent in the region of the electrode to make it more convenient to use. This was full imitation of molded plastic. In fact, this casing was much better than the real plastic one which would be made later. Electrode: coaxial, rectangular, with little “bumps” on the surface to provide better contact of the electrode with skin on the hairy areas. Digital multistep control of energy with “up” and “down” buttons. 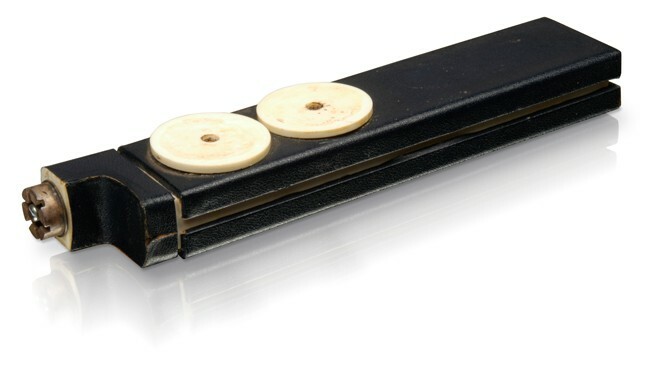 This device had only two frequencies of action which could be selected with the buttons. 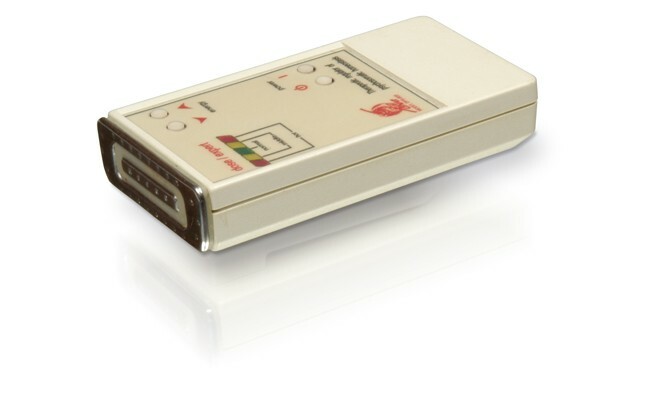 Two LEDs indicated energy level and frequency. New switch — switched on pauses to make expert evaluation. Power supply: built-in accumulator was charged from solar batteries which were developed specially for this device — one silicon wafer produced 15V instead of usual 0.4V! The casing was milled out of one solid piece of aluminium. It was so robust that could be used as defence against racketeering, in case of need. All the rest was the same as in T4-01. This device was specially designed for use at medical cooperative institutions. Casing: ABS plastic, “Teko” company (Italy). 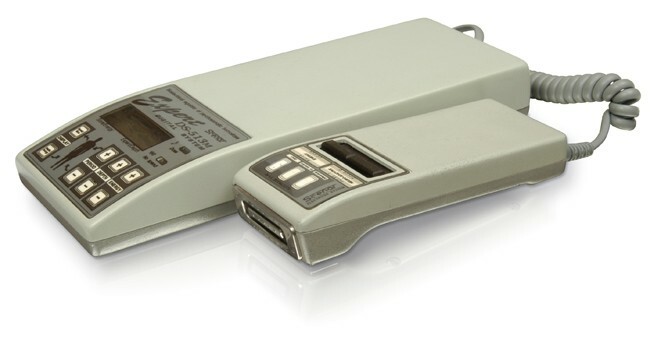 The device is built on two LSI’s made by “Intel”. One LSI was responsible for action, the other — for expert evaluation. Indication: LEDs displayed energy level, action mode, and expert evaluation. Two action modes — continuous and intermittent. Power supply: replaceable galvanic cells or accumulators, size AA. This is a modification of the 611, but now it is built with one LSI (again “Intel”) of larger capacity. This provided the device with its famous “indestructibility” and robustness. 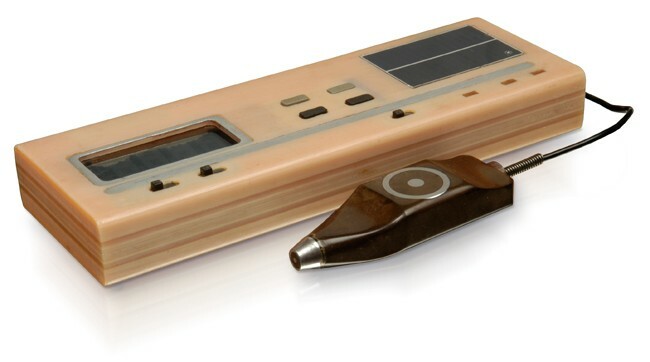 The socket for connection of remote electrodes which was implemented in this device became a standard for all other manufacturers. This is neither modification of the 611 or the 612, though casing is the same. Two output stages with automatic switch-over. 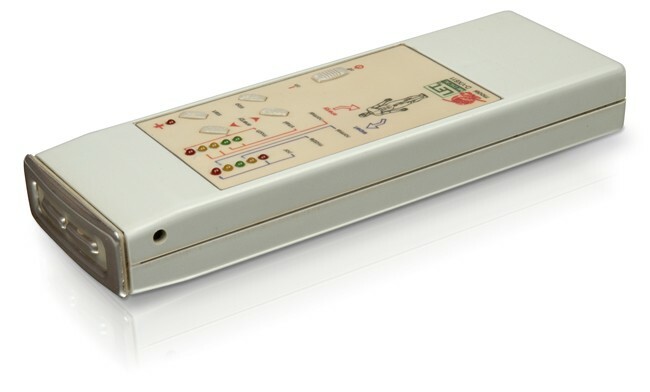 Two-line character LCD-display showed all operating modes and expert evaluation. This is the first device where expert evaluation was displayed on LCD indicator. 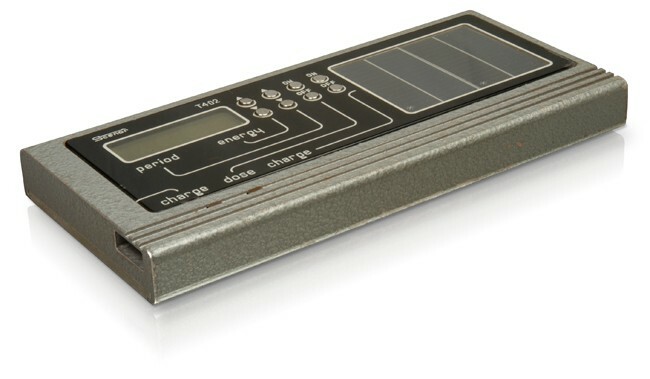 Power supply: built-in rechargeable accumulator (recharged automatically from the replaceable accumulators and mostly served as backup battery, i. e. the device would work even if the replaceable accumulators were down or taken out). Basic accumulators were replaceable — two galvanic cells or rechargeable batteries, size AA. The first casing from OKW company, ABS plastic. This is the smallest device ever produced before. No one had ever made a device smaller than this. It is a smaller copy of the 612. 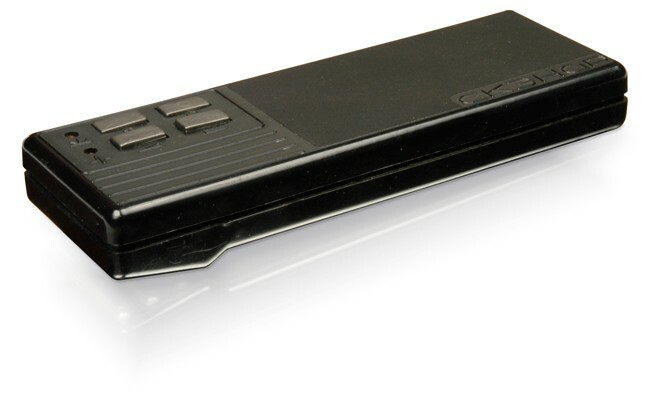 The same LSI but in a smaller size casing. Power supply was special: galvanic cells of size N.
This is the current upgrade for the most versatile professional device developed in transition to the new generation of SCENAR devices. It includes all the most important functions for professional use. 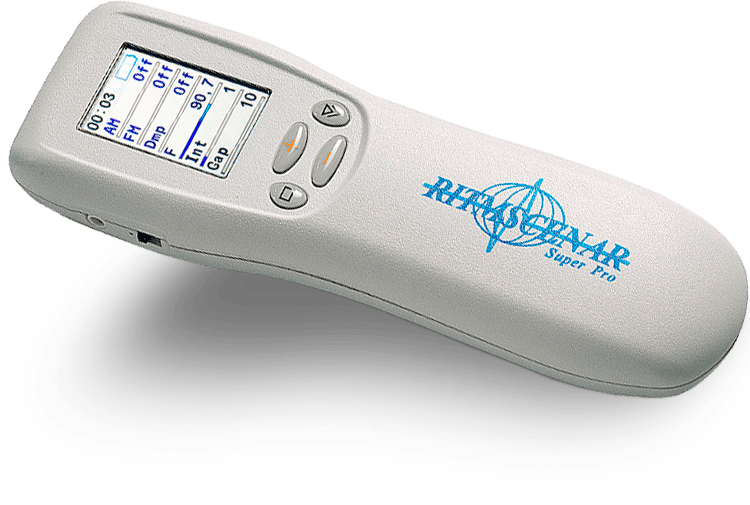 As compared with the previous version of the device (RITMSCENAR Pro Plus), its functionality is extended to include the third mode of screening (Dose 5) — screening with the local electrode. 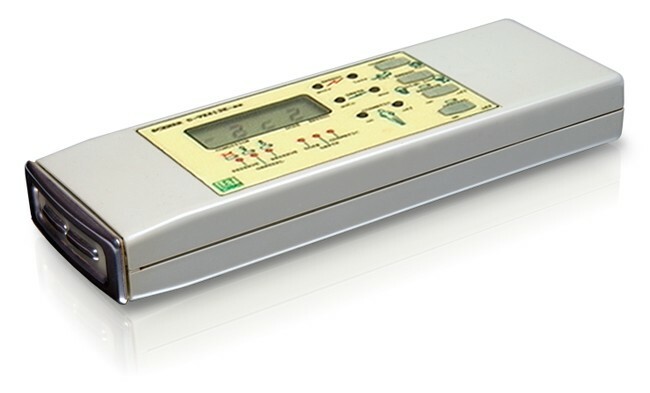 The most important ’know-how’ of the device is the mode of double biofeedback that allows determining necessary stimulation parameters in acute states in the automatic mode. 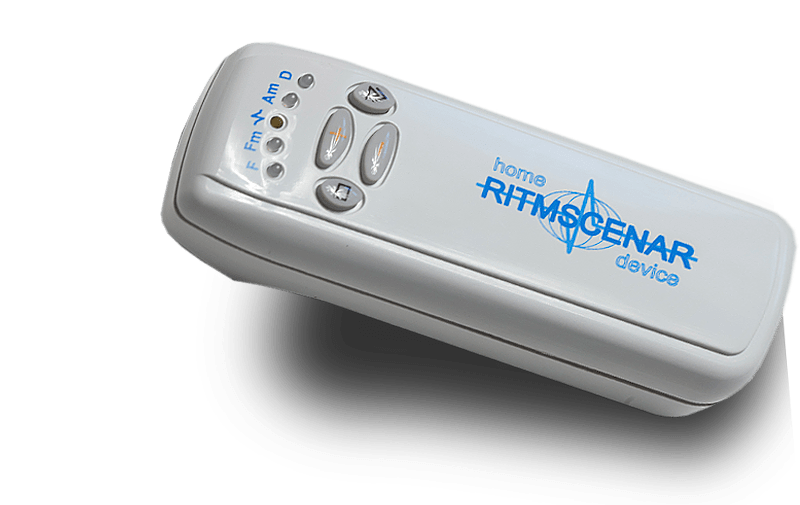 The RITMSCENAR Sport D is one of the newest models in the personal SCENAR devices family. 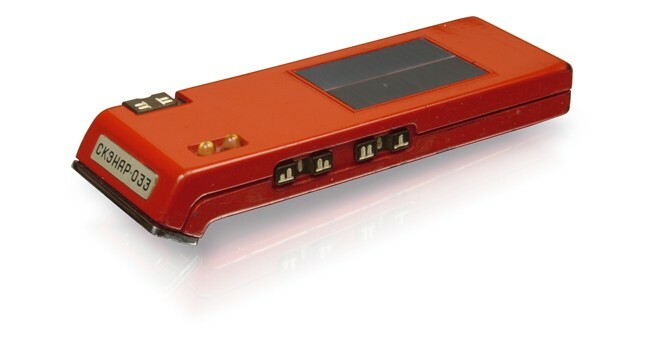 It is identical in functions to the RITMSCENAR Sport model but is equipped with a LCD screen. 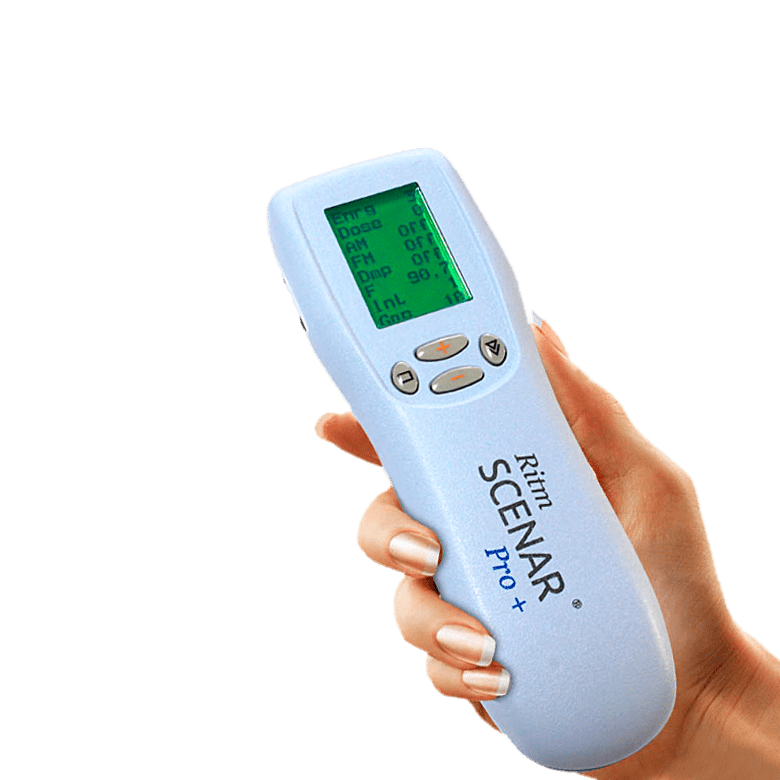 The small screen displays energy strength, current settings and skin contact indication which make the device very easy to use and operate. 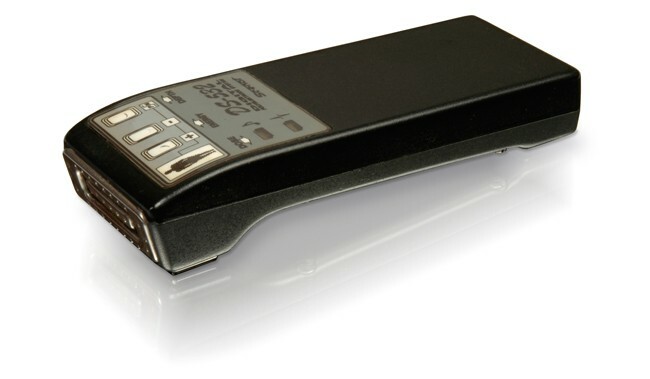 This is one of the most popular versions of the personal devices. 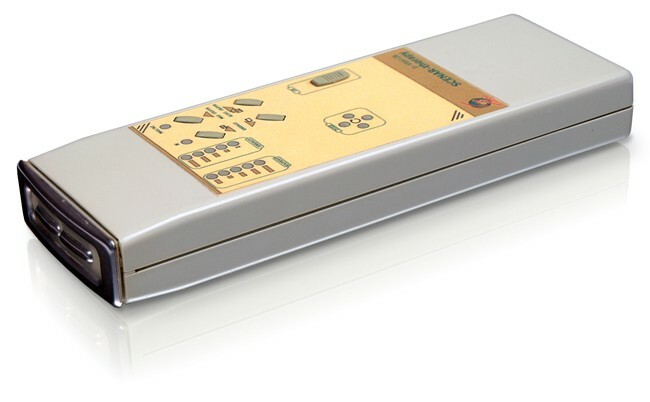 This device provides a large set of functions that allows its user to realize all possibilities of SCENAR-therapy. 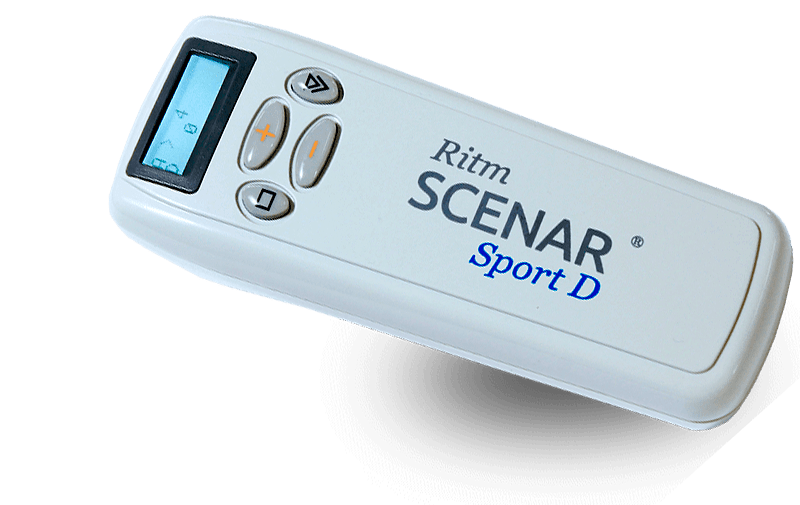 RITMSCENAR Pro Plus is a light-weight, portable, easy to use, multifunctional and powerful SCENAR device designed for advanced users to provide non-invasive, specialist SCENAR therapy interactive electrical stimulation via the patient’s skin. 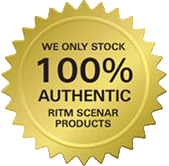 SCENAR technology has been proven to provide quick and sustainable pain relief in a wide range of painful conditions, increased function, and quicker rehabilitation.